A little more than 19 years ago a young black man entering his home, his safe haven, was murdered by 4 police officers who thought the wallet he had in his hands was a gun. This young man, who was at the time, one year older than my eldest son, was cut down in a hail of 41 bullets. 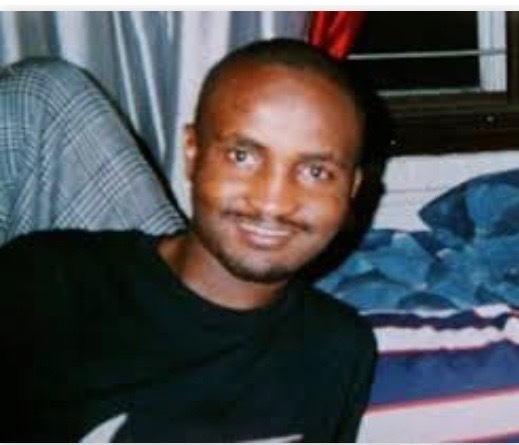 His name was Amadou Diallo. My heart pained for Amadou, who could have been my son, furthermore, this grisly tragedy occurred just 4 blocks from where I grew up in the 50s – 60s. Aggressive policing was not evident during my youth in this once predominately white community; but has now become the norm. The community transitioned during the 70s into a predominately Puerto Rican and African American populace of working-class folks. My parents and younger brothers continued to live in this community after I moved away. Commensurate with the demographics transitioning, I noticed, when visiting my parents, a significant change in police interaction and behavior in the community. Aggressive policing towards brown and black people, especially male, was evolving into a new version of white societal acceptance of the murdering of black bodies; the preceding version of this behavior was of course slavery and lynching. Police officers are society’s agents to conduct this damage. It is a societal acceptance that allows police officers to kill, maim and abuse brown and black bodies even within the safe haven of their own homes, without any serious consequences. Here we are again, 19 years later in 2018, police shoot a black young man 20 times at his home, in his safe haven in his backyard, killing him. They explain they mistook what he had in his hand as a weapon. It was his cellphone. 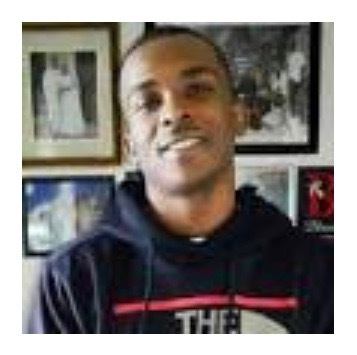 This young man’s name is Stephon Clark. How eerily similar are these two incidents. New York Police then and Sacramento police now both receive calls from dispatch about an alleged “suspect”… stating they believe the suspect has a weapon that could cause them harm and so they resort to shooting them to death. And it is my belief, as is evidenced by scores of previous cases, that once the officers have completed their administrative leaves and their bosses complete their investigations, the officers will be exonerated of any wrong doing, and returned to duty. And society accepts this. I contend that the USA (sadly, including most white professing Christians) society’s long history of acceptance of abuse and death of black bodies continues today; and is the reason why unarmed brown and black persons can be killed by police without serious consequence. Police know how, and can capture, arrest, and secure, white “suspects” who have killed their fellow police officers and mass-murdered many of innocent people without firing one shot. From the Ruby Ridge killers to the Parkland killer, police have successfully arrested armed white “suspects” without killing them. Yet, they cannot manage to detain and/or arrest scores of “unarmed” brown and black persons without shooting and killing them. I further contend they do not, because society accepts it. The USA society should be indicted for this habitual killing. Let me be clear, white unarmed bodies get killed by the police as well. This happenstance is rare and just as wrong. However, the epidemic of unarmed brown and black bodies being killed by the police must stop. I have selfish reasons for this demand. I have two grandsons now. They are 5 years old and 19 months old. They represent the next generation. I call upon the USA society to examine themselves and allow my grandsons to live free of the acceptance by USA society that their bodies have no value. Our homes, our communities, our safe havens are war zones for police assault on black and brown bodies, male and female. How shall we change societal acceptance of this practice and the consciousness/behavior of police — so that when they see brown and black bodies — they don’t immediately become “trigger happy,” driven by being consumed with fear and negative images? Can police officers see a valuable human life, when they see black and brown bodies, too? Racist indoctrination/consciousness and erroneous leadership policies manifest in profiling, wrongful arrests, unlawfully being detained, and murder. (4) by moral and spiritual leadership: pastors/faith leaders and Christians (especially those of European descent) need to reject the wholesale adoption of “conservatism” or “liberalism” and become a prophetic voice for the values, principles, and grace of Jesus Christ. These are societal initiatives that will begin to bring social transformation — that will begin — to reject and reverse societal acceptance of abuse and murder of brown and black bodies — that will begin — a consciousness that brown and black lives have value and matter. Thank you Niel for always speaking from your heart. There isn’t anything to add or subtract from your post because you said what we have discussed for years and what several of us (people of color) experience on a daily/demo daily basis. Kudos! Your feedback is much appreciated. There is still so much work to be done on many fronts – spiritual, civil/political, legally, social and economically. Wow! Thank you for stating the reality so clearly and from a personal prospective that really brings it home. I’m hoping that your call to action and your recommended solutions are acted upon!